Check out the new shop space! 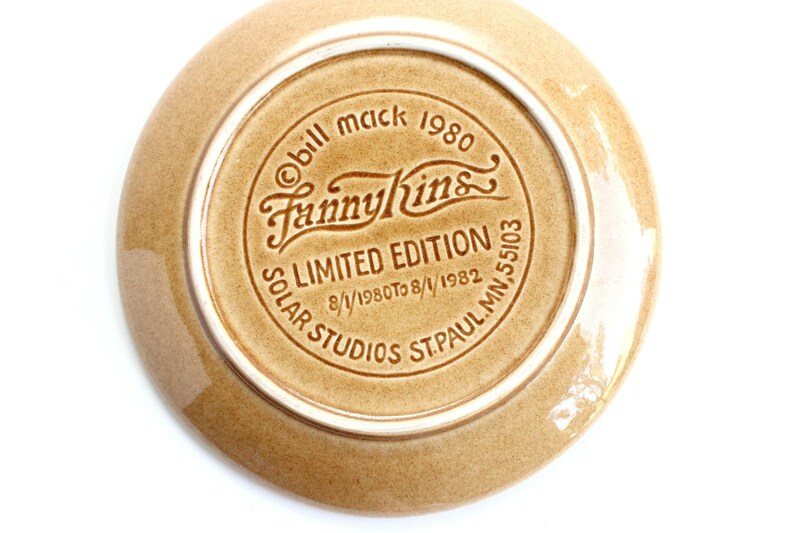 Adorable Franny Kins limited edition collectors plate. 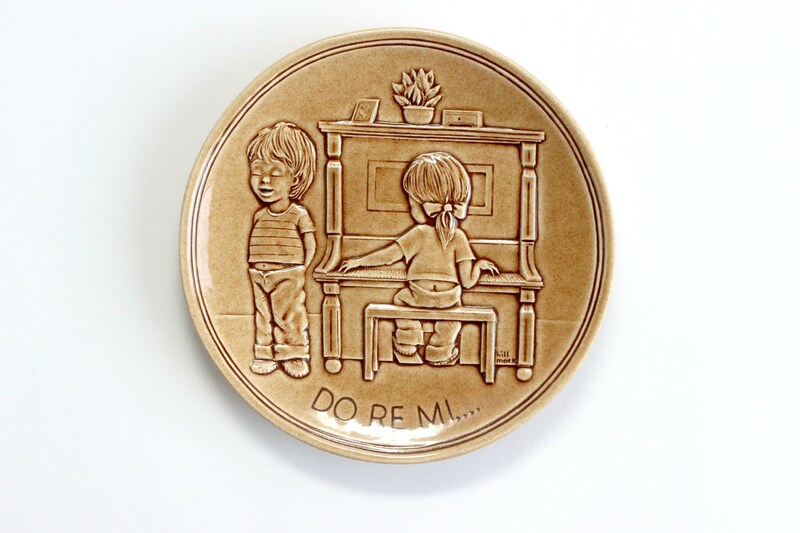 Ceramic plate made by Solar Studios and designed by Bill Mack in 1980. Plate is embossed on the back and signed by the artist on front. 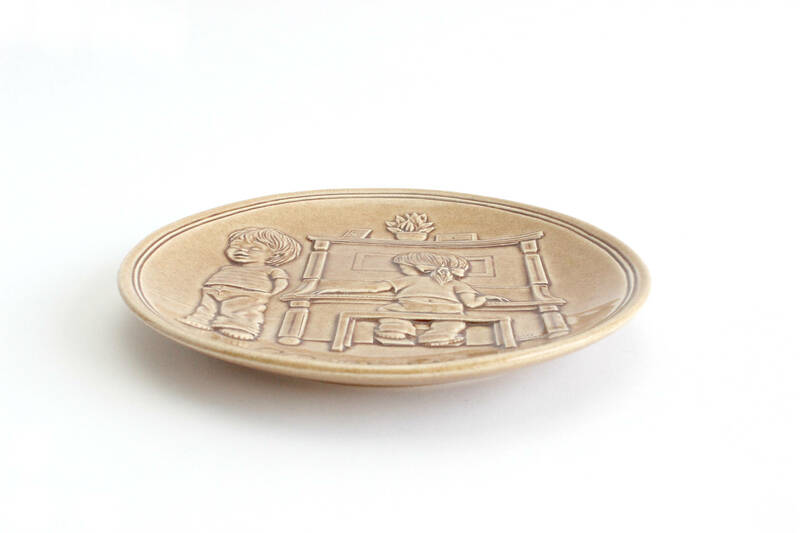 The plate has a raised design with tone on tone shades of brown and beige. 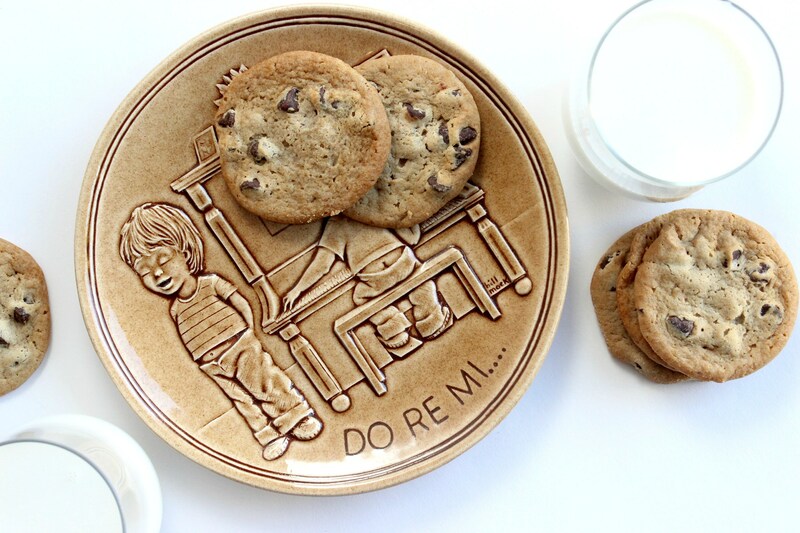 A very cute plate for serving cookies and milk! Overpaid shipping charges will be refunded when item(s) ships. If you are planning to purchase multiple items, contact me for a combined shipping rate, as this is sometimes possible. Free pick-up from zip code 91710 can be arranged. Enter coupon code: FREEPICKUP at checkout and leave a message so we can schedule a time for you to pick-up. Thank you for stopping by my shop! If you have any questions please don't hesitate to send me a message. I will always try to respond with in 24 hours. Also, follow along on Instagram @mendezmanor and be the first to know when new listings hit the shop! Item(s) are shipped within 1-3 business days after payment is received. 1. If you are planning on ordering multiple items, contact me for a combined shipping rate, as this is sometimes possible. 2. Overpaid shipping charges (over $1.00) will be refunded. 3. I do my best to get your item(s) packaged up and shipped out right away. In most cases your order will ship with in 24 to 48 hours. 4. Orders typically ship USPS 1-3 priority mail unless another method is requested. 5. I am only able to ship with in the United States. 6. I take extra special care in packaging my orders. That said, if an item is broken during shipping, please contact me right away. I will refund the cost of shipping and the item. 7. When possible recycled packing materials are used. 8. Mendez Manor is not responsible for lost or returned packages due to the input of an incorrect address. If a package is returned due to a wrong address or undeliverable address, the buyer will be asked to cover shipping charges for re-sending the item(s). 1. If you are unhappy with an item please contact me right away. I will review each situation individually, and find a resolution that is fair for all parties. 2. I do my best to provide accurate descriptions and detailed photos. I am selling vintage items that do have wear and tear. I describe/show any imperfections an item may have. PLEASE READ DESCRIPTIONS CAREFULLY BEFORE PURCHASING. If you need more photos, better descriptions, or have any questions, please don't hesitate to ask!